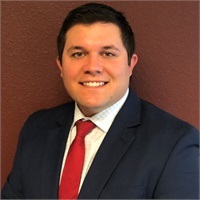 Mark Brezina | Lifestyle Financial Advisors, Inc.
Born and raised in Friendswood, Mark Brezina joined the LSFA team in 2016. He graduated from the University of Houston with a degree in Finance. Mark is aspiring to become the next generation of successful Adviors at our firm and is currently working on achieving his licensing. When not at the office you can find Mark on his boat in Galveston Bay fishing. He also enjoys hunting, rooting for the hometown Rockets, Texans, and Astros, and playing music.